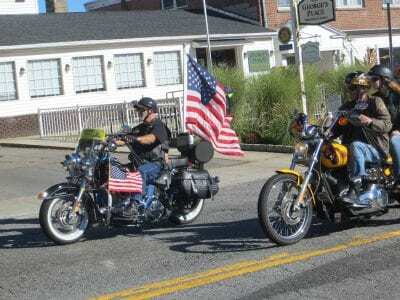 Photo by Eric Gross The Traveling Vietnam Veterans Memorial Wall was never as well received in Putnam County as it was last weekend.The Wall’s third local appearance in the past decade attracted more than 4,000 to the Veterans Memorial Park in Kent u… Please login below or purchase a subscription to the Putnam County Courier to access this content. Elementary school cheerleaders at Saturday’s parade. Downtown Carmel resembled small town America Saturday when hundreds of young people marched along the county seat’s main thoroughfare from the Carmel firehouse to Carmel High School du… Please login below or purchase a subscription to the Putnam County Courier to access this content. 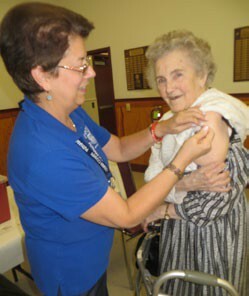 Adelaide Appel receives her flu shot from Jeanette Baldanza on Monday. She’s about to turn 100! Soon-to-be 100-year-young Adelaide Appel couldn’t wait to receive her flu shot Monday. The long-time Carmel resident was one of the first on l… Please login below or purchase a subscription to the Putnam County Courier to access this content. 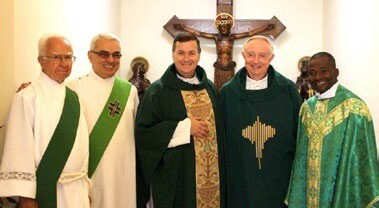 Deacon John Baffa and Deacon Mark Shkreli join Pastor Richard P. Gill (center), Msgr. George Thompson and Rev. Peter Ekanem at Sunday’s mass. When Cardinal Dolan visited Putnam County last summer to help St. Lawrence O’Toole Church celebr… Please login below or purchase a subscription to the Putnam County Courier to access this content. A Lake Peekskill couple is facing a variety of charges for harboring 11 dangerous snakes in unsecured Rubbermaid containers – while the woman’s child resided within the residence. State Police reported the arrests Friday of Anthony Mahab… Please login below or purchase a subscription to the Putnam County Courier to access this content. A truck fire on Route 84 in Putnam County Tuesday morning snarled traffic throughout the region. Tuesday was a day to forget for motorists using I-84. 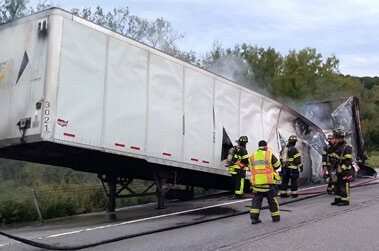 A tractor-trailer truck fire closed the interstate in Putnam early in the morning resulting in mass… Please login below or purchase a subscription to the Putnam County Courier to access this content. The ribbon cutting outside the Finders Keepers Thrift Store on Tuesday. Finders Keepers Thrift Shop opened to much fanfare on Tuesday, September 22. The grand opening celebration and ribbon cutting was for Putnam ARC’s new retail store, located… Please login below or purchase a subscription to the Putnam County Courier to access this content. During Liver Awareness Month this October, the American Red Cross encourages eligible donors to give blood and platelets to support liver transplant patients and others needing blood products. To make an appointment to donate blood, eligible donors … Please login below or purchase a subscription to the Putnam County Courier to access this content. To the Editor: In 1965, Jane and I built our home in Southeast and also began our thirty year teaching careers in the Brewster Central School system. We are happy to endorse three extraordinary individuals who will lead our town for the next decade…. Please login below or purchase a subscription to the Putnam County Courier to access this content.